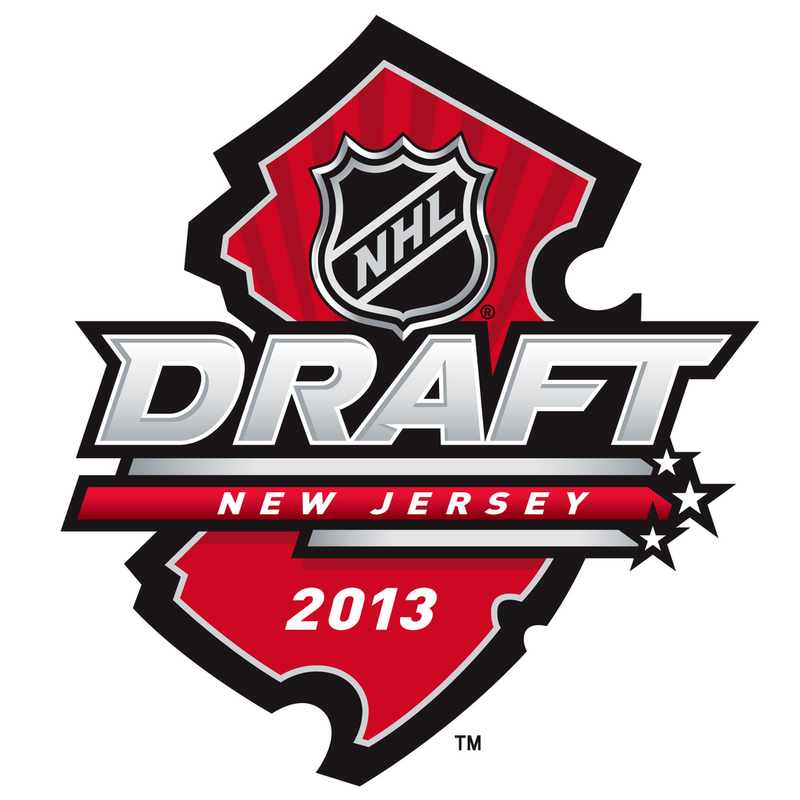 The 2013 NHL Draft has come and gone. While it wasn’t the flurry of trades and insanity everyone expected, it was still its unpredictable self. I’ve been following the draft most closely since about 2007 and every year I am reminded just how quickly the end of the first round sneaks up on you. This year it seemed to come up even faster with loads of players that had what I would classify as first-round talent still on the board as the 30th pick was made. That’s how good this draft was and if a lot of these players reach their projections, this could go down as one of the best we’ve seen. It was also a better-than-expected draft for Americans. Three U.S.-born players went in the first round, 11 total over the first two. Fifty-seven Americans were taken in the draft, which is actually two more than last year. David Poile didn’t mask his thrill as he nearly shouted “SETH JONES” into the microphone at the podium. Poile had said all week that Jones was No. 1 on Nashville’s board, almost daring the top three to pass on him, they did and Nashville’s blueline is pretty much set for the future. The Seth Jones story was supposed to have that storybook ending, but hockey teams aren’t built with sentimentality. That doesn’t change the fact that Jones very well could end up being one of the best defensive prospects in a long time and now he’ll join a defensive corps that includes Shea Weber and Roman Josi, along with quality prospects Mattias Ekholm and Ryan Ellis. That’s going to be ridiculous. The Predators still have scoring needs at forward that will have to be addressed, but building from the net out is never a bad philosophy. Jones should flourish much like Weber, Josi and former Pred Ryan Suter did in Nashville’s system. It’s a great place for him to be long-term. So often, big players get attached the upside tag and it’s only because of his physical stature. McCarron’s skills make him more than that. What’s even crazier, he’s 225 pounds right now, and he looks almost thin. He has room to put on 20 to 25 more pounds to fill out his frame. Good luck moving that guy from the crease. So Montreal isn’t just betting on size, it’s betting on projectable size, too. There just aren’t many guys like him that can play with skill. I really believe McCarron’s ceiling, if all goes perfectly with his development and he’s able to reach his full potential, is a top-six forward. His physical style might relegate him to a less-offensive role, but I don’t believe he’s a guy who deserves to be pigeon-holed as just a big body. Here’s a look at his work in the gold-medal game against Canada, one of his best at the World U18 Championship. Skip ahead to the 2:00 mark to see a shift where he shows how he combines size with subtle skill for a nice goal. Based on everything I had heard leading up the draft, Ryan Hartman was a lock to go in the first, but scouts I spoke with thought it’d be earlier than the last pick of the opening round. 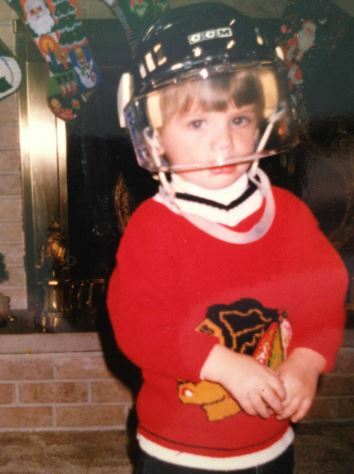 So Chicago gets both a good player and a good story, as Hartman is a native of West Dundee, Ill., and grew up a Blackhawks fan. The Hawks even shared the picture to prove it. It’s a solid value pick for the Hawks and Stan Bowman looked excited, or as excited as he is capable of looking, when selecting Hartman. A potential agitator with skill, Hartman is the type of guy opposing players hate and fanbases embrace. He loves to play the physical game, but he produced at a point-per-game clip in the OHL last season. He should be a good puck-possession player as he makes good decisions, has solid vision and protects very well. Hartman was one of the unsung heroes on Team USA at the World Junior Championship this year. He was part of the grind line that got all of the tough defensive assignments. Some within USA Hockey felt that line won the tournament for the U.S. Hartman’s tools help teams win hockey games and it should only continue as he progresses. 31. Ian McCoshen — Florida Panthers: The Panthers skipped over defense with the second overall pick to take Sasha Barkov, but got themselves a nice prospect in the Waterloo Black Hawks defenseman with the first pick of the second round. The 6-3 rearguard has some good all-around tools, but I know some scouts who question he’ll find another gear to his game. He’s shown great improvement as a junior player, however, and will only continue to thrive in a large role at Boston College with fellow Panthers prospect Mike Matheson. 33. Adam Erne — Tampa Bay Lightning: Erne has first-round skills, but his stock had been falling since he was temporarily dismissed from the Quebec Remparts this year. That said, Erne has some diverse offensive skills with good vision, an elite-level shot, speed and solid physical strength. He could become a power winger or could trend more towards more of a skill player depending on the next stage of his development. I think this was a steal for Steve Yzerman. 35. J.T. Compher — Buffalo Sabres: Buffalo had a really terrific first couple of rounds and Compher is a big part of that. The captain of last year’s U.S. National Under-18 Team is a high-character kid, with a hard-nosed game and some skill. He plays tough, works incredibly hard and has a knack for coming through in big games. He’s undersized, but his competitiveness and aggressive style bode well for his future. Compher should get quality development time at the University of Michigan to continue to grow his game. 38. Connor Hurley — Buffalo Sabres: Having already had three picks in the draft, Buffalo had the ability to take a little bit more of a chance at No. 38 and they did so with Hurley. After a season in which he dominated at the high school level, the offensive skills Hurley possesses could allude to strong upside. Some of the cracks in his game were exposed a bit in the USHL, but with another junior season to go, he should be able to fix some of his deficiencies. His base of skills are certainly intriguing. 42. Steven Santini — New Jersey Devils: After trading away the ninth overall pick for Cory Schneider, Steven Santini was the Devils first pick in the draft and boy is it ever a good one. I think this might be the match made in heaven as Santini is just the kind of player Lou Lamoriello loves. A defense-first defenseman with high-end skating ability and physical skills, Santini is reliable. He was the best defenseman at the World U18 Championship this year and put on one of the finest performances I’ve seen in five years at the tournament without notching a single point. To me, he was first-round worthy. Instead, he’s terrific value at 42. 47. Tommy Vannelli — St. Louis Blues: Vannelli was St. Louis’ first pick in this draft and I have to admit I was a little surprised. Vannelli is very much a project defenseman, similar to the Blues’ first-round pick last year, Jordan Schmaltz. Like Schmaltz, Vannelli has a lot of offensive upside, but needs more seasoning in his own end. The skills are definitely notable and if he can put on a lot (a lot, a lot) more muscle to his 6-2 frame, he could turn out to be a really nice value. 52. Justin Bailey — Buffalo Sabres: The Sabres went all-American in the second round and must have been especially pleased to see Bailey fall to 52. He’s a Buffalo kid, who has really come a long way in his development. He also lived with former Sabre Pat LaFontaine last year while playing for the Long Island Royals. In his first year in the OHL with Kitchener, Bailey showed glimpses of his immense potential. He is still very raw, but could round out into a productive forward. This is about perfect slot value for Bailey. 61. Zachary Sanford — Washington Capitals: The Caps actually traded up to get this pick and it’s an interesting one. Sanford started generating a lot more buzz as the season progressed and I think a lot of teams were really high on him. He probably wouldn’t have lasted a lot longer once the third-round started, so Washington made the most of acquiring what was Winnipeg’s compensatory pick for not signing former Atlanta first-rounder Daultan Levaille. Sanford put up nearly a point-per-game in the EJHL this year and has some really nice projectable skills and size. I think this is a low-risk, high-reward pick for Washington. 70 & 76. Eamon McAdam and Taylor Cammarata — New York Islanders: The Isles doubled down on Waterloo Black Hawks in the third round and it was interesting. I think both picks might have been reaching for Garth Snow, but only a little bit. McAdam has good size, played a lot in the USHL over the last two seasons and took a step forward developmentally. He’s headed to Penn State next year and should see quality time as a true freshman. Cammarata is really interesting as he put up 93 points en route to USHL MVP honors. I did hear rumblings that several teams did not even include him on their draft boards, despite the production. Cammarata is undersized, but has terrific skills. The knock I heard from scouts regarded speed and aggressiveness, which he’ll need to find at 5-foot-6. The production level, however, is worth taking a shot on even if this was a bit early. 74. John Hayden — Chicago Blackhawks: After being ranked the 29th best North American skater by Central Scouting, it seemed Hayden was going to go a big higher than he did. So the Hawks end up with nice value on a kid who has a pro-ready frame and could round out into a punishing power forward. He’s headed to Yale next year, where he should have a chance to add more skill. 97. Michael Downing — Florida Panthers: Maybe one day Downing will be reunited with former Dubuque D partner Mike Matheson, who the Panthers took in the first round last year. Downing was another guy who had projections all over the map, but rose up draft charts late this season. Dale Tallon’s really stocking his defensive cabinet by nabbing two of the USHL’s top defenders with McCoshen and Downing. 104. Andrew Copp — Winnipeg Jets: I absolutely loved this pick for the Jets. Copp, who was in his second year of eligibility, was fantastic in the second half of the season for Michigan as he adjusted to the college game. He put up 17 of his 21 points over his last 20 games. Additionally, it should be noted that last season was the first Copp focused solely on hockey. He was a star quarterback in high school and even had college offers, but chose hockey. Copp also is interesting in that he was asked to join the NTDP as a fill-in guy who could play for the U18 or U17 team depending on whichever needed a body. Then a funny thing happened, Copp kept getting better and better. By his U18 season, he ended up making the World Under-18 Championship team despite still serving as the go-between player and helped Team USA win gold in a fourth line role. Lastly, he’s one of Jacob Trouba’s best friends. Trouba of course was Winnipeg’s first-round pick last year. Copp was one of my favorite stories coming into this draft. 129. Calvin Petersen — Buffalo Sabres: I always like seeing kids from the non-traditional markets no one talks about get drafted. Petersen is a native of Waterloo, Iowa, played for the local Black Hawks in the USHL and is headed to Notre Dame. I think he has a lot of talent and should get some quality net time at ND over his career there. There is just over 3,000 registered hockey players in Iowa, so it’s tough for a kid to make that leap to become an NHL prospect. 141 & 148. Michael (SJS) & Jonny (LAK) Brodzinski: One of the cooler stories of the draft was the Brodzinski brothers going just seven picks apart in the fifth round. Michael, the younger of the two, spent last season with the Muskegon Lumberjacks and is showing signs of becoming a strong puck-moving defenseman. Jonny was part of St. Cloud State’s remarkable team this year and was one of the most productive freshmen in the nation with 22 goals this year. Not only did they go in the same round, but to rival teams, which will be the same story in college when Michael gets to the University of Minnesota. 147. Grant Besse — Anaheim Ducks: The hero from the 2012 Minnesota State Championship game and 2013 Mr. Hockey got picked in his second year of eligibility. Besse is an undersized, but skilled forward who is headed to the University of Wisconsin next year. He’ll join fellow Anaheim prospect Nic Kerdiles there. Besse scored five goals for Benilde-St. Margaret’s in the 2012 title game to cap off one of the more dramatic seasons you’ll hear about for a high school team. 163. & 208. — Brendan Burke (PHX) & Anthony Brodeur (NJD): The American-born sons of Canadian goaltenders went to teams with strong ties to their fathers. Burke was selected by Phoenix where his father Sean is the goalie coach. Brodeur was actually selected by his father, Devils goalie Martin Brodeur with the team’s last pick in the draft. Burke might be a legit prospect once he gets more playing time in Portland, with good size and some nice tools. Brodeur’s more of a long shot, but he performed well at Shattuck-St. Mary’s this season, which has been a pro prospect factory. Both are duel citizens. 168. Quentin Shore — Ottawa Senators: University of Denver forward Quentin Shore became the third of his brothers to be selected in the NHL Draft. He joins Drew (Florida in 2009) and Nick (LA in 2011) as drafted Shores. They might not have the pedigree of the Staals or Sutters or Subbans, but the Shore family is basically America’s version of them. There’s one more Shore brother left, Baker. You can read more about them here. This entry was posted in American Prospects, Junior Hockey, NCAA, NHL, NHL Draft, NTDP, USA Hockey. Bookmark the permalink. Excellent write-up for the American-born players Chris. I was stunned that Seth Jones did not go in the top 3, but what a great situation for him in Nashville. Great job Chris and why do so few Americans go in the 1st round but several always go in round 2 of the draft? It seems like it happens that way every year. No surprise that you are praising USNDP players over other US born players. There’s a reason Ian McCoshen was picked first in the second round. He’s a terrific two-way defenseman and the Florida Panthers recognize his talent. I think you might want to read through that description again.